Group leader, Teresa Gadberry, sets a high standard of professionalism and knowledge that gives her clients proven results. Beginning her real estate career in 1998, she has handled transactions in all areas of the real estate industry and has a myriad of experiences that allow her to get the transaction closed. 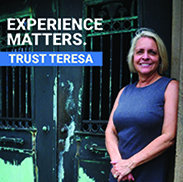 Teresa holds a BS in Business Administration from Arizona State University and Masters in Organizational Management from University of Phoenix. She received her Real Estate Broker license in 2016 – less than 1% of all real estate agents have this title. When listing properties for sellers - They utilize professional photography, professional staging, social media, print marketing and local expertise to sell their clients' homes quickly and for top dollar. When finding properties for buyers – They utilize all available avenues when searching for their specific criteria. They continually educate their clients on the buying process as well as financing options. They make sure they are comfortable with their buying decision and guide them to their real estate goals. Contact The Teresa Gadberry Group today and let their knowledge and experience get you proven results! 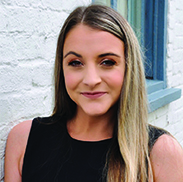 Team member, Bridget Gadberry, is a full time Realtor born and raised in the Pittsburgh Area. Her love of the city, gives her the passion needed to help people buy and sell their real estate. Watching her mother’s success and drive in the industry has given Bridget a unique exposure to the industry. She has developed an aptitude for analyzing house values and structural/cosmetic defects, as well as understanding the needs of her buyer clients. Bridget attended Indiana University of Pa and studied Business Communication. She has also worked in the service and retail industry for many years – helping her understand the need for outstanding service.